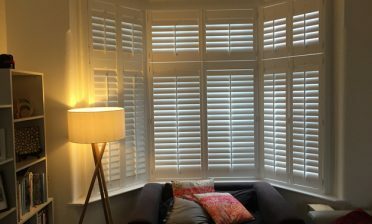 Dan was in East Dulwich in London to install these bespoke tier on tier shutters for a clients living room. 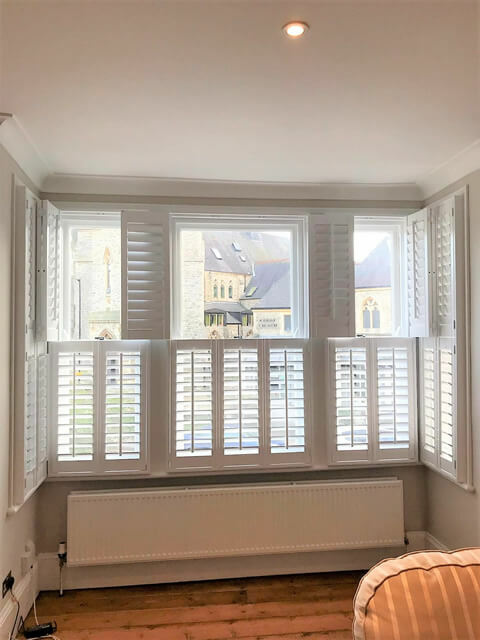 The living room is located at the front of the house and faces onto a busy road, making it paramount that these shutters can provide a great level of privacy, whilst also maintaining natural light throughout the room. 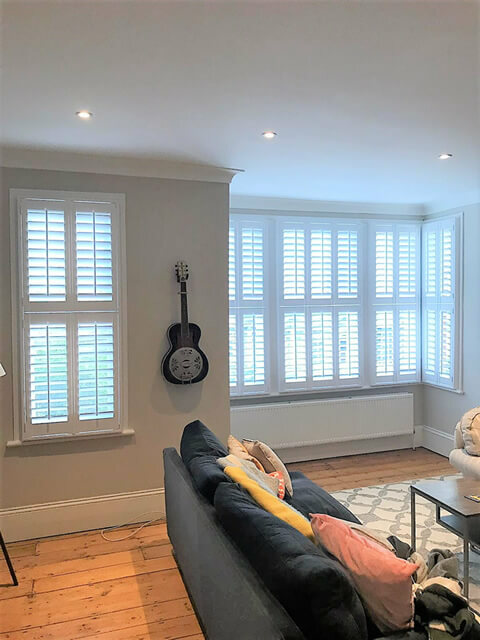 The bespoke shutters were designed around the customers large sash windows including a bay, designed in a tier on tier style which is perfect for flexibility and adjustment when facing out onto busy areas such as this. The client is able to keep full privacy below while regulating light in through the top, keeping control of privacy and lighting at all times. 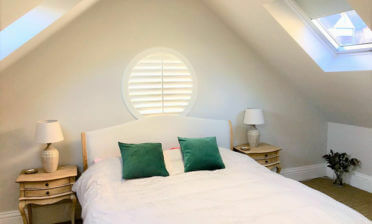 This just can’t be achieved with standard window dressings! After discussing all the different options with our client, they opted on have a pure white minimal elegant look which worked wonders with the existing décor. 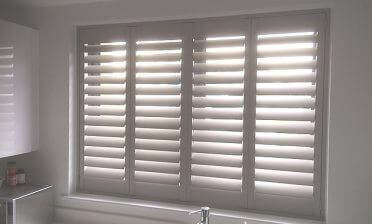 We created 76mm louvres which is one of the most popular requested sizes and brightens up the room considerably! Using centralised tilt rods creates an easy way to adjust the louvres and makes for a traditional look combined with the narrow panels. The client was delighted with the end result!